The Charleston East development is the first of the Terra Firma masterplan to be developed beyond outline concepts. 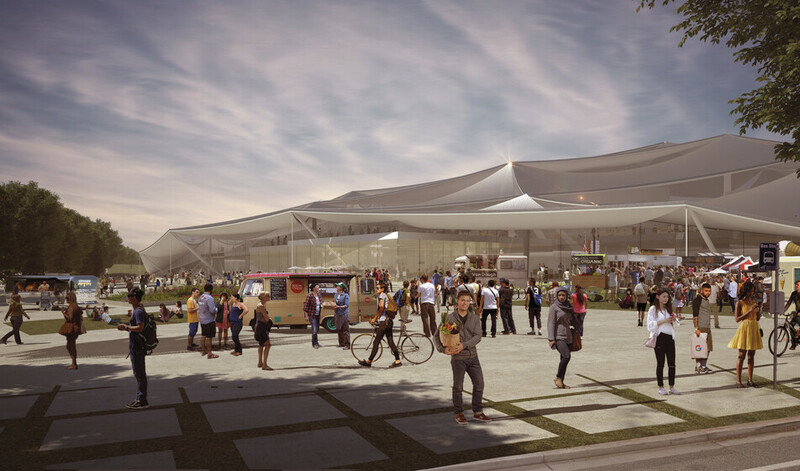 The building will form the newest element of the Google campus in Mountain View and will provide state of the art office accommodation to 2,900 workers alongside public / private amenity space and a public access way through the building. The building consists of 595,000sq ft of office accommodation in addition to central plant, parking and amenity space, with the main desking environment located across a single open plan space at level 2, level 1 houses amenity and ancillary accommodation with the plant and parking located at level -1. Atelier Ten led the MEP engineering, Environmental Design, Energy Analysis, Benchmarking and Healthy Building consultancy on the project through concept design. 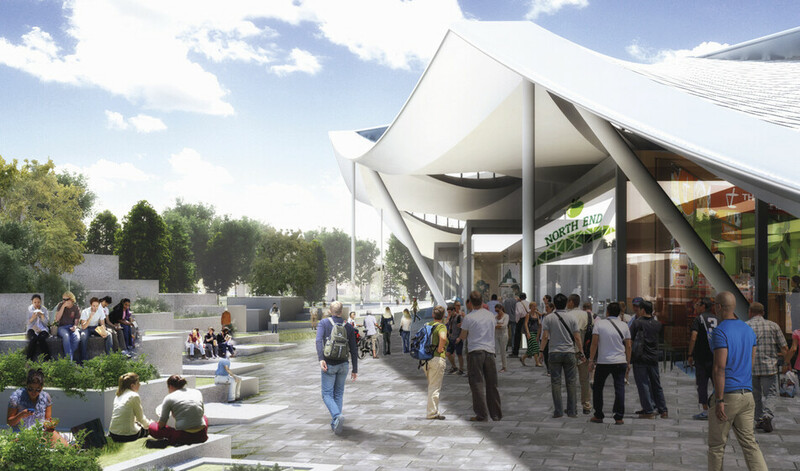 The design was developed to provide a user first oriented experience to provide users with exceptional environmental quality (including a focus on air quality) alongside providing best in class sustainable holistic building performance and exceptional design aesthetics whilst being delivered for costs comparable to conventional commercial development. In order to deliver these exceptional challenges to conventional building design Atelier Ten engaged in a holistic and deeply involved design process with the architects and client team to resolve the differing challenges of the development. Extensive work was undertaken on a highly iterative basis with the architects to resolve the form of the building and associated fenestration to ensure that appropriate levels of daylight are to be received internally, with sufficient daylight to eliminate the need for artificial lighting on typical days whilst reducing or eliminating the risk of glare that would be detrimental to computer screen based workers. The cladding was further developed to provide active shading to allow targeted light to selected portions of the building to encourage biophillic elements, and to incorporate photovoltaics into the skin to generate energy for the development with the potential for the scheme to be net zero. In order to maintain high levels of comfort and air quality within the development, alongside responding to architectural aesthetic demands and future flexibility, an underfloor air system was proposed. This allows the air around users to be highly thermally controlled for comfort and to ensure that the highest air quality is at the occupant level. This solution was arrived at through a data driven approach to system selection utilising a choosing by advantage approach, alongside detailed thermal simulations of occupant experience. Chilled fabrics were evaluated to provide further opportunities for energy savings and to enhance occupancy comfort. Chilled fabrics and underfloor air were also proposed to ensure that the buildings energy consumption could be minimised by maximising both air side and waterside free cooling through elevated supply air temperatures and elevated primary chilled water distribution temperatures.